Bayside Church again returned to Kenya this summer under the experienced leadership of John Johnson. The team was made up of some veteran friends of HEART and some new marafiki, (friends). Their days were packed with serving, building, and embracing the Kenyan culture. 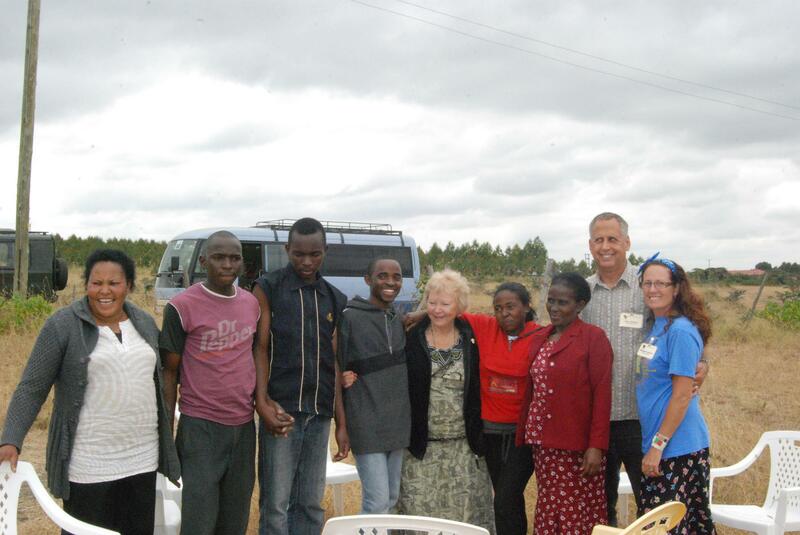 Throughout all of the hard work they enjoyed fellowship with the Kenyans through eating, singing and dancing together. A Ngong WEEP woman, Mercy, was especially blessed by this team as they brought additional funds to build a home for her. We traveled back to Ngong today to dedicate Mercy’s new home. We began construction on the home last Tuesday and it was finished this Monday. As with almost all of our visits in Kenya, the ladies from the Ngong WEEP Center greeted us with singing and dancing. If you like singing and dancing, you will have to come to Kenya next year and enjoy it with us! The singing and dancing then moved inside the new home and then it continued outside as we began to celebrate what God has done for Mercy and her family. Mercy stood up and thanked God, HEART, and our team for how her family had been blessed with a new home. After a few more people spoke, we laid hands on Mercy and her home and dedicated it to God. It is very humbling to see the joy and thankfulness flowing from Mercy’s heart and know that you had a small part in it. Thank you to all of our supporters back home who took part in the $1,000 challenge. HEART knew that we had raised an extra $1,000 and asked if we could raise another $1,000 to make this dream of Mercy’s come true. People back home responded and hopefully, you can rejoice in the difference you have made in this family’s life! After lunch we started saying our goodbyes and noticed that Mercy’s son, Paul, was not using his right arm. Come to find out, it looks like he broke it playing soccer last Sunday and has not gone to the doctor. Something we take for granted, going to the doctor for a broken wrist, is a luxury in Kenya because of the cost. After discussing the situation with him, his mother, and the HEART staff, we decided to pay for x-rays and his cast so that he could go to the doctor. This is also something all of our supporters helped to pay for. Thank you once again for making a difference in Paul’s life. Please follow the link to see more photos and read more from their trip!